Cooking is an art that allows you to express yourself by what you love eating. But even though it encourages creativity, this process requires precision. We all love well-cooked, delicious, and nutritious meals. However, most people often rely on estimates. What’s the best cooking temperature for vegetables? What’s the right amount of water for kneading dough? Do I have to stay around and wait until the meal is ready? Well, all these are demanding questions that you have to deal with. Smart kitchen appliances use a combination of tech and traditional appliances to enhance your cooking process. You don’t have to make estimates or stay around until the meal is ready. These appliances come with preset programs as well as apps which can be used to power the switches, adjust temperature, and monitor food remotely. Why Do You Need These Smart Kitchen Appliances? Technology is changing the way we do everything including preparing meals. Kitchen Appliances are now “smart”. Brands such as Philips, Samsung, Kitchen Aid, and Miele among others are now designing premium equipment which can be used to store meals and prepare meals. Some of the smart kitchen appliances can now be integrated with the internet. They also have preprogrammed settings, Bluetooth connection option as well as companion apps. Generally, these devices make it easier for you to turn raw ingredients into mouthwatering concoctions regardless of the cuisine. Versatility: One smart device can be used for various functions. Smart appliances are multipurpose devices which can perform more than one task, for instance, the Grinder-Blender can be used for blending or grinding depending on your needs. Adjustable preprogrammed settings: You don’t need to estimate things such as the cooking time or right temperature because these appliances have programmable settings. They are also automatic devices that turn off once the task is completed. Easy and Simple to Use: Smart appliances offer convenience thanks to their simplicity. Smart Kitchen appliances can be by kitchens of all sizes and sizes. They allow you to cook like a pro, adding a high level of convenience as you prepare your favorite cuisine. These appliances utilize the latest technology making food preparation and other kitchen functions faster and more energy efficient. This is a pie iron that’s also known as a sandwich toaster or a pudgy pie iron. Although this device isn’t designed to replace your skillet or toaster, they are greater dual cooking surfaces. A sandwich maker makes preparing two or three-ingredient sandwiches faster compared to using a stove. In just under 6 minutes, you can prepare hot-ham or grilled cheese sandwiches thanks to the two-hinged concave/round/square cast iron plates. Besides that, this is a non-stick device that makes cleaning up easier. 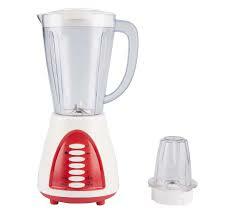 Grinder and Blender is a versatile and multipurpose device that’s used for blending and grinding. It’s a combined smart device that can be used to break down solid foods into purees or liquids. Additionally, it can be used to grind grains and make baked goods such as bread dough. They are sometimes known as a tea kettle. Electric kettles are pots which are used to boil water. There is no need to use the old-fashioned kettles which waste a lot of time because this appliance functions in a self-contained way. It is a simple kitchen appliance only needs to be filled with water and plugged into the power source. 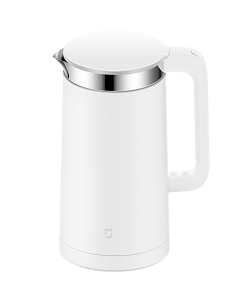 You can use it to boil water for cooking or preparing a drink such as tea. This is one of the top smart appliances that your kitchen needs to have. The device, which is also known as the rice steamer, has automated functions which makes it easier and convenient to cook rice. This cooker usually comes with a cooking bowl, thermostat, and heating source. The multipurpose appliance will cook your rice to perfection. 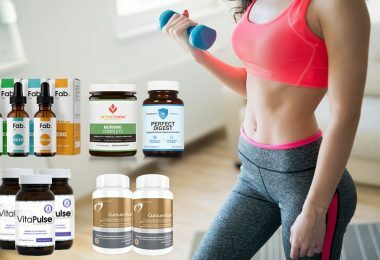 Besides that, you can use it to prepare a hot breakfast such as oatmeal, steam vegetables, poach fruits, cook stews, soups, beans, and risotto among other meals. What makes this device great is that it doesn’t work like conventional rice cooking methods. Every grain of rice is cooked separately and there are no toxins which are involved. This is an automatic machine for washing dishes. One of the kitchen chores which most people don’t like doing is washing dishes. There are also some days when the dishes and cutlery are just so dirty and many. A dishwasher can easily clean a pile of dirty dishes within minutes. Besides offering convenience, they are also hygienic time-savers which use minimal energy. 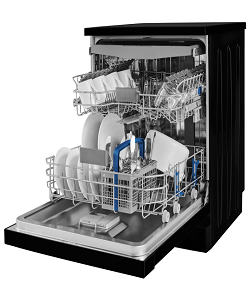 Dishwashers come in different sizes so it doesn’t matter how much kitchen space you have. If you don’t have enough space, you can get a counter top dishwasher that can fit in compact spaces just like a microwave. Note: manual dish washing is time and energy consuming. You need to physically scrub your dishes in order to remove the soiling. Besides that, you may need to boil water if you are dealing with greasy utensils. However, dishwashers make all these possible and you can even use it to wash delicate utensils. It doesn’t matter if you are a novice who is not familiar with kitchen appliances or a well-accustomed chef who loves cooking. With smart kitchen appliances, food preparation is an enjoyable experience and the end result is usually delicious meals. They are efficient and versatile equipment that help to save time and energy.